Here’s the symptom: when you tune your brand new PL-880 to a relatively weak station on AM or shortwave, the audio level jumps from low to high in what seems like a random pattern. It’s very annoying. Like me, many assume they have received a faulty unit–some have even sent their new PL-880 back for refund. I hope Tecsun will start shipping their PL-880s with the threshold set to “00” or off. It would certainly lead to less confusion and frustration. This entry was posted in New Products, News, Radio Modifications, Radios, Shortwave Radio and tagged PL-880, Tecsun, Tecsun PL-880, Tecsun PL-880 Audio problem, Tecsun PL-880 Availability, Tecsun PL-880 eBay, Tecsun PL-880 Muting Threshold, Tecsun PL-880 volume problem on December 12, 2013 by Thomas. 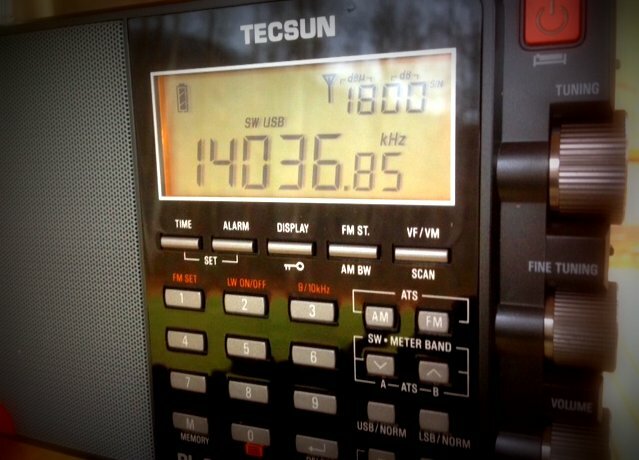 Very disappointed with my TECSUN PL – 660 receiver.When I turn it on it starts at about half volume and I cannot turn it down.On the local FM band it is far too loud.The TECSUN people in Australia tell me they have never heard of this problem.Any idea of a fix? Cheers .John Richards,Dunedin,New Zealand. I ordered one today.I’m a ham opetater(since1972),primarily to monitor 75meter lower side band,I MUST fix the ssb/agc.can you provide the correct solution. (I used to be a Motorola road technician).I can do the repair.THANK YOU,Larr. I just bought the Tecsun pl-880. It was fine for a day, now the volume knob doesn’t work after it was turned off for 2 hours. I found to can override the volume by holing the 7 key, however that only goes down to lever 30. I was looking to buy one, but I read the reviews. Think there are better radios. I just wrote a rather lengthy comment about the radio under your review, but after reading the above comments I see that probably the “auto squelch” issue is indeed an issue of firmware 8819, and was (hopefully) fixed in 8820. Unfortunately, this is what Kaito is selling as of yesterday. Those like me who bought 8819, we need to let them know their entire shipment needs to be sent back for firmware updating…this is simply irresponsible selling on TECSUN’s part (rushing to get the radio out before X-mas when it was clearly not ready). Unfortunately we who bought the Amazon we can not fix the audio level with ’00 ‘I believe that there is only one reason and that is the firmware version 8019 because I see that there is a newer version of 8020 with which this hidden option works. The same thing was with the PL660, so I had to modify. Us with this version of 8019 remains the only hope to be supplemented with the firmware in the future. Interesting. i got mine from Amazon and it is revision 8019 and I was able to change it. This morning the shortwave bands were very quite and the dbu readings were around 10 to 15. In this condition the cutting out of the audio was apparent even thou I was able to set the muting threshold to 00 (firmware 8019). Note that the audio does not completely cut out but is greatly reduced. It like using squelch and being on the hair edge. I would have thought setting it to 00 would have turned off the squelch effect totally. Guess I will have to return mine too as this is very annoying. Hopefully I can get a replacement that does not have this problem. I believe there are actually two things going on in vers 8819, which would explain why you can adjust 8819 (but not completely turn it off). I wonder if yours has the same second sort of brick wall mute despite being on “00”–mine does and it is hugely annoying, unless you stay on strong stations. Thank you for all your efforts on the website and information about the 880. And thank everyone for sharing their experiences.